Motivated by the features of fall, the Academy's aspiring artists are channeling the signs and sounds of the season into their festive creations! However, despite Halloween looming soon, the Lower School students are taking their efforts beyond simply recreating classic, iconic characters. 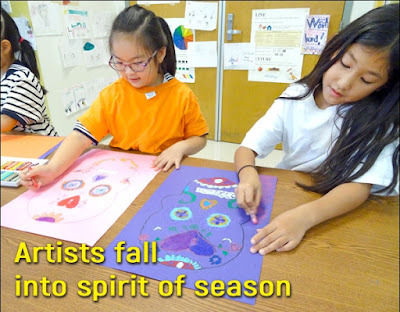 They are delving into history and cultural traditions and the use of varied art tools, techniques and practices, including color theory and mixed media, during the creative process. These works of art, including the second graders' "Sugar Skulls," based on decor from the celebrations of "Dia Des Los Muertos," or "Day of the Dead," will be unveiled soon - along with a few ghosts too! Does Java Actually Jolt Growth?